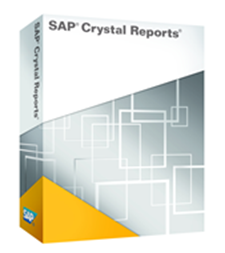 SAP Crystal Reports, the de facto reporting standard, is a total reporting solution that enables organizations to deliver insightful information to their users and help them make better decisions. With an easy-to-use, intuitive interface, report authors can access data spread across disparate systems, and design pixel-perfect reports with guided interactivity. End-users have the option to publish personalized reports to recipients securely inside and outside the organization or embed reports in business applications. Reports can be presented with stunning visualizations to empower decision-making instantly and transform the way businesses are run. Crystal reports option allows customised reports on all AX Enterprise transactions as well as cardholder information and system information. The report writer can be linked to several systems simultaneously.